Following the Small World deluxe edition, this special deluxe release finally reprints the oft-requested and long-denied Eisner-winning one-shot, "Open the Moon!" Plus the other long-sold-out one-shot, "Grindhouse!" 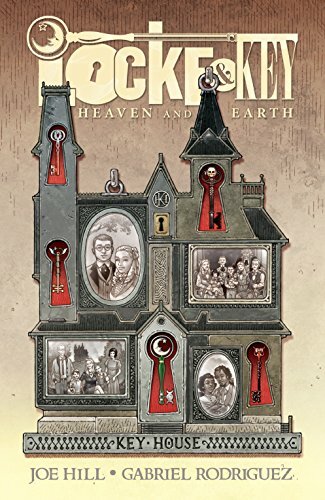 PLUS plus: the even more hard-to-find IDW 10th anniversary Locke & Key tale, "In the Can!" And additional covers, behind-the-scenes photos and more, all wrapped up in a beautiful 72-page hardcover package. Love the extra little stories we get collected in this volume. Of the stories collected, I really loved "Grindhouse!" as it was the most in spirit of the original series. Very in line with the horror of the keys and the house.